Scullers Jazz Club has been voted “Boston’s #1 Jazz Club” by Boston Magazine, Citysearch.com, CBS 4 Boston, AOL CityGuide and The Improper Bostonian. 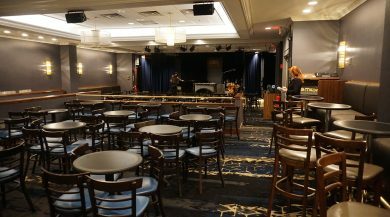 Scullers Jazz Club sets a new standard for Jazz Clubs in Boston and throughout the United States with a World-Class roster of renowned Jazz Artists, a stellar sound system and an intimate setting reminiscent of the classic Jazz Clubs of the past. 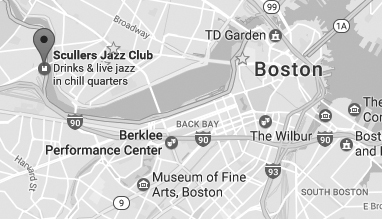 Since its inception in October of 1989, Scullers Jazz Club has become a Boston landmark for visitors to the area as well as local Bostonian’s who have become valued friends over the years. Scullers Jazz Club has presented celebrated International Artists including: Tony Bennett, Lou Rawls, Bobby Short, George Shearing, Shirley Horn, Christian McBride, Ravi Coltrane, David Sanborn, Harry Connick Jr. and Wynton Marsalis to name but a few. Many of today’s brightest Jazz stars were introduced on Scullers’ stage including: Diana Krall, Norah Jones and more recently Peter Cincotti, Michael Bublé and Jamie Cullum. 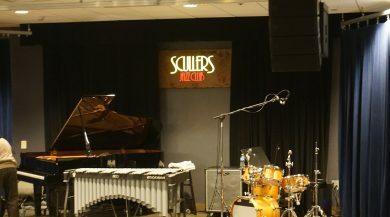 While Scullers Jazz Club is renowned for showcasing a wide range of top musical artists from straight-ahead to Contemporary Jazz, Scullers Jazz Club has also earned a reputation for presenting something for everyone. The perfect night out! Scullers Jazz Club has been a champion of the Latin Music Scene by presenting artists such as Arturo Sandoval, Orquesta Aragon and Eddie Palmieri as well as classic R&B Artists such as The Manhattans and Oleta Adams.